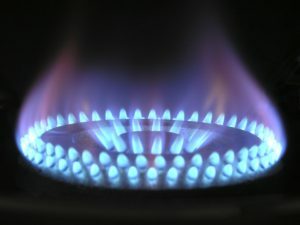 One of the most common problems with gas water heaters is that the pilot light will go out, leaving you with no hot water. If you turn on the shower and it won’t get hot, check your water heater. Be sure to follow the proper method of lighting the pilot light if it is out. If it won’t light, make sure the gas valve is in good shape and then check the thermocouple. A bad thermocouple can cause various problems with your water heater. You might not be able to get the burner or pilot light to work. If you decide to replace this part yourself, follow all proper safety precautions when handling your water heater! Otherwise, call a skilled HVAC technician to repair your water heater. If your water heater is leaking, there is a serious problem and you’ll likely need to replace it. Most conventional tank-style water heaters last about 10-15 years. However, hard water, poor maintenance, and other problems can shorten its lifespan. Call a technician right away for water heater repair or else you could risk flooding and damaging your home. If you face any of these problems with gas water heaters, call Sanders & Johnson Heating and Air Conditioning at 303-422-6606. We’re happy to provide water heater repair and replacement in Denver, CO!